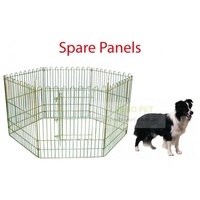 Expand on our heavy duty metal wire play pens with extra panels. 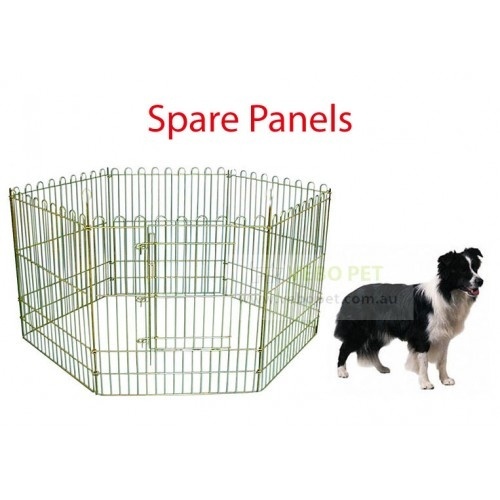 Choice of plain panel or one with gate. Price includes connecting pin. Expand your existing play pen with extra panels or gates, be able to do more configurations and shapes! Please note that price is for PER PANEL. Do replacement panels come with replacement poles? The outdoor exercise pen comes with poles for linking the panels together - if I buy one replacement panel, how many replacement poles come with it? Thanks. Thanks for your message. Each replacement panel comes with 1 connecting pin, but we do carry extras if you need more. Cheers!